Titian's painting depicts an event that devout Catholics have venerated for centuries - that of the Virgin Mary, the mother of Jesus, ascending (or assumed) into Heaven at the end of her life. Catholic tradition states that Mary did not die but instead rose to Heaven, where she presumably continues to live. A description of this event does not exist in the Bible, yet it continues to be an important part of Catholic tradition. In 1950, Pope Pius XII declared Mary's assumption into Heaven to be an official dogma of the Catholic faith, saying "We pronounce, declare and define it to be a divinely revealed dogma that the immaculate Mother of God, the ever Virgin Mary, having completed the course of her earthly life, was assumed body and soul to heavenly glory." Mary's assumption is justified by the fact that Jesus also ascended into Heaven, complete body and soul, after he was resurrected from death. However, many Catholic leaders contested that Mary's assumption actually took place because of the lack of scriptural evidence, but nevertheless, the Assumption is officially celebrated by Catholics around the world on August 15. Many other religions believe that certain people, particularly holy individuals ascended into Heaven without first having to depart from their Earthly bodies. 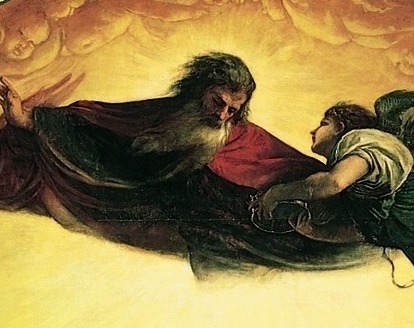 Judaism, Islam, Protestant Christianity, Hinduism and Daoism all believe that certain people never physically died, but ascended directly to Heaven from Earth. 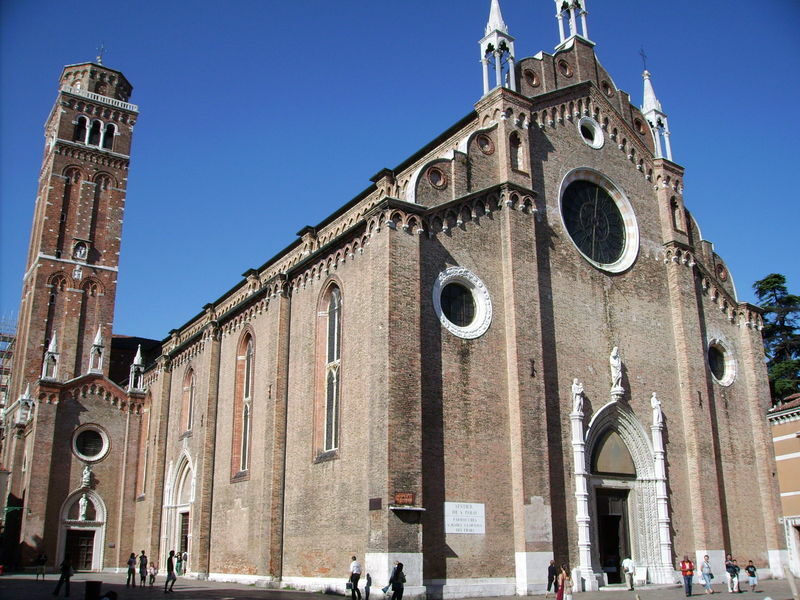 When he returned from Padua where he had been painting a series of frescoes, Titian received a commission from the Franciscan order in 1516 to paint the high altarpiece of the chief Franciscan basilica in Venice, the Santa Maria Gloriosa dei Frari. To be asked to paint this high altarpiece - situated at the top of the sanctuary directly behind the main altar - was a huge honor and preceded Titian's appointment as the pre-eminent Venetian painter after Bellini's death in 1516. Scholars believe that just before commencing work on the Assumption of the Virgin, Titian met with Fra Bartolommeo, an Italian monk and painter who himself had traveled extensively through Italy, studying different painting techniques and styles. Bartolommeo began painting a series of grandiose altarpieces in a sweeping style similar to some of Raphael's and Michelangelo's work, including the Sistine Chapel. When Titian met with Fra Bartolommeo in Ferrara, he saw examples of Michelangelo's work and it no doubt made an impression on him. 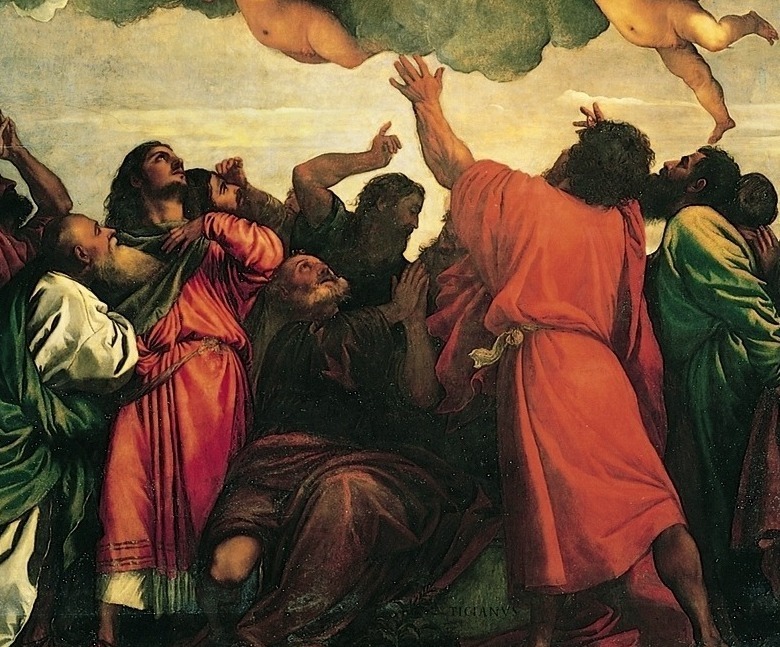 Thus, in effect, Titian was secondarily inspired by some of the most well-known Italian painters, putting his magnificent Assumption on par with the extraordinary frescoes in the Sistine Chapel. To match the soaring ceiling arches behind the altar in the Basilica di Santa Maria Gloriosa dei Frari, Titian chose to create an altarpiece nearly seven meters (about twenty feet) high. To fill the space within his canvas, he chose an innovative three-tiered layout, with each layer telling a unique part of the story, yet forging connections with the other layers simultaneously. 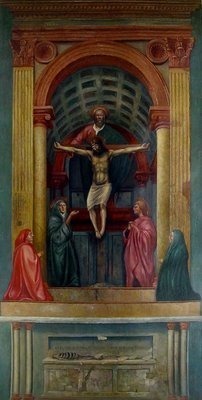 The altarpiece's sheer height and spiraling multi-layered composition were unprecedented in Venetian altarpieces. The bottom layer, representing Earth, depicts the Apostles gazing up in astonishment as the mother of Jesus is raised to Heaven. Mary herself, surrounded by angels, is the primary occupant of layer two. Her arms are outstretched toward the bearded God in the top layer. This top layer slants slightly down at the right, hinting at Titian's larger vision that Mary ascended in a spiral of clouds and heavenly beings. 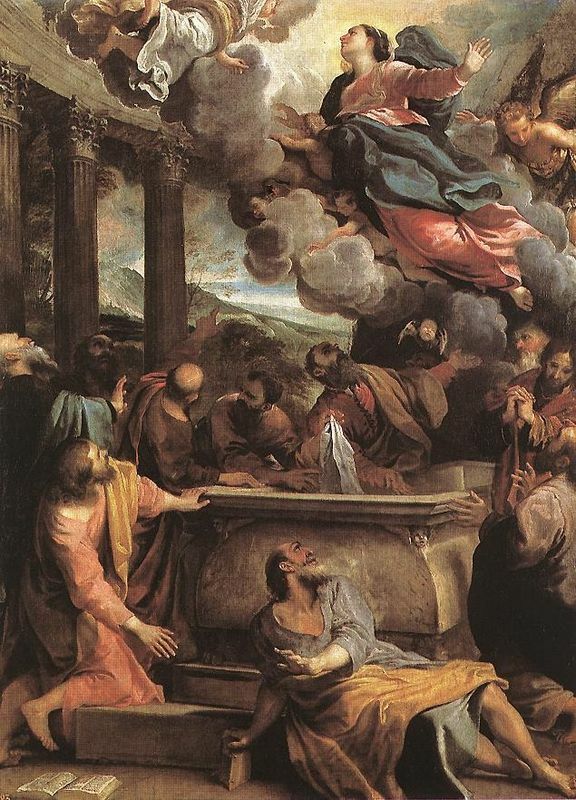 From Mary herself to the gesticulating Apostles on the ground, this painting is dynamic. On the ground, the people seem frightened yet joyful, flailing their arms wildly while the Virgin calmly surges toward Heaven and a powerful wind billows through her luscious robes. 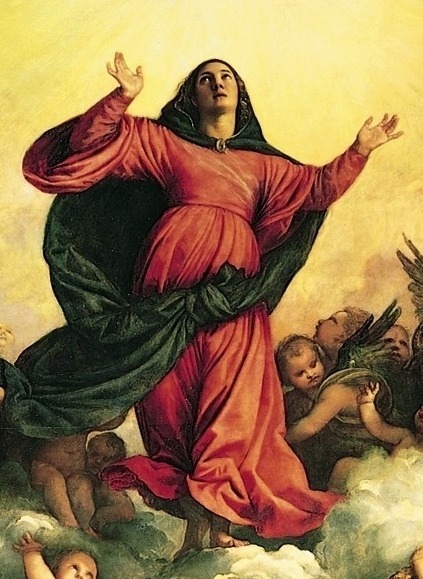 Assumption of the Virgin is a richly textured work, thanks to Titian's preference for more free-flowing painting as opposed to the more refined technique practiced by many other Italian artists. Titian prefers to lay paint on thickly, almost molding it as he goes, creating captivating paintings such as this. At the official unveiling of the Assumption attitudes towards Titian's work, which took two years to complete, were varied. As the altarpiece was of an unprecedented size and composition, many initially questioned the its value. Citing Dolce, Gould notes that many of the "older painters and unlettered public" were initially outraged by the painting's novelty. People pointed to the unseemly thrashing of the apostles and the generous curve that divulged the Virgin's feminine figure. Still, others lauded the work from the beginning, and it's said that one of Emperor Charles V's envoys happened to be at the ceremony and offered to buy it if the Franciscan friars didn't like it enough to display in the church. Scholars, critics and art lovers identified Titian's first Venetian commission as a launch pad for his career - the Assumption was like his resume and cover letter, put on display, advertising his skills and ideas. Critics of more recent centuries view this painting as a masterpiece and Titian's way of announcing his arrival on the art scene. Titian's Assumption of the Virgin remained in the Basilica di Santa Maria Gloriosa dei Frari until 1818, when it was moved to the Gallerie dell'Accademia in Venice. This move was directly related to Napoleon Bonaparte's defeat in 1814 after conquering Venice in 1797. When Napoleon sacked Venice, he took with him to France a number of Venice's beloved works of art. Remarkably, Assumption of the Virgin seems to have remained in the Frari during this time. 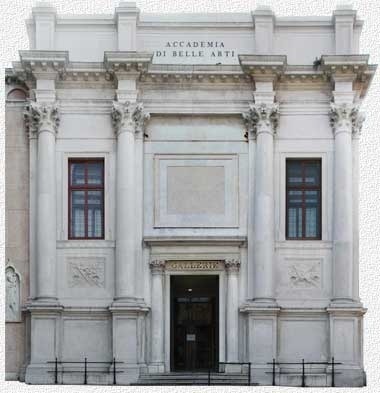 But when Napoleon was defeated, Venice's masterpieces were returned and promptly placed in the Accademia where it was believed they would be safer and more accessible. Assumption of the Virgin went to the Accademia as well, but was returned to the Frari in 1919 where it remains today. Titian completed his Assumption of the Virgin altarpiece very early in his career, around the age of 30. It was also around this age that, upon the death of his teacher Giovanni Bellini, he became Venice's unchallenged master painter. Thanks to his new status and the uproar that Assumption of the Virgin caused, Titian began to receive numerous commissions and was widely honored. 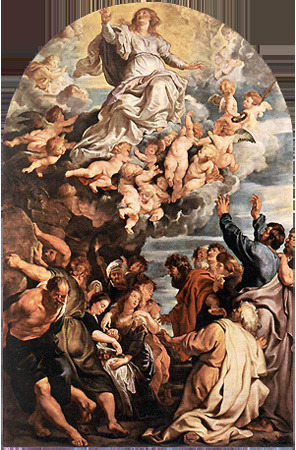 Assumption of the Virgin was painted during a time when there was some controversy surrounding the theology of both Mary's Assumption and the Immaculate Conception. 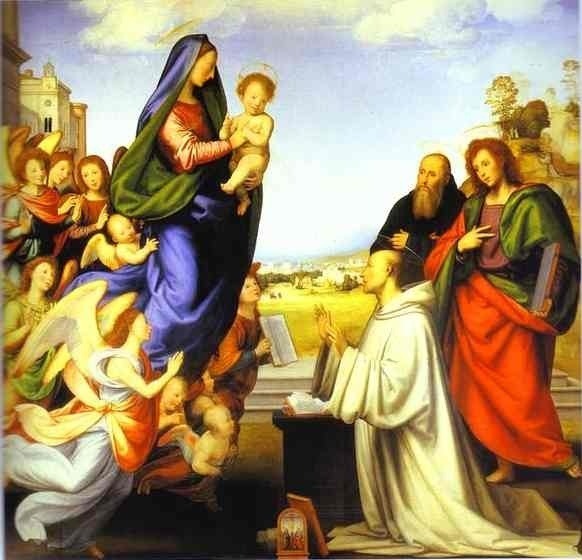 The Franciscans, who commissioned this painting, held fast to the belief that Mary herself was totally pure, totally free from sin, thus making it necessary for her to ascend into Heaven, rather than first dying. Not all religious orders believed that Mary was sinless but Titian's painting served to affirm the Franciscan's belief in Mary's complete purity. Painted during the High Renaissance, Titian's Assumption of the Virgin was both emblematic of the times and innovative in its own right. 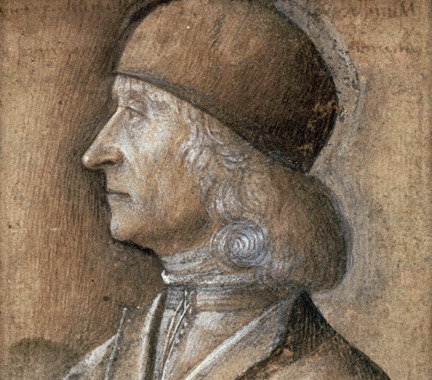 Although Marino Sanuto said that with this artwork "Titian established classical High Renaissance art in Venice," he did so only after taking cue from a number of well-established artists, especially the late Bellini and Giorgione, both of whom also had a role in bringing the High Renaissance to Venice.